Trustworthy couple (27/25).Animal lovers.Very clean and tidy.Experienced.References if requested. We are Lola and Maxime a really nice, smiling and friendly french couple who are traveling around the world. We've been traveling in Europe, US, Indonesia, Australia, Thailand, Laos, Malaysia, Cambodia, New Zealand, Sri Lanka, Turkey and Malta. We are now back in France but ready to move on to new places to take care of your puppies. Lola is a former beautician and a great house & pet sitter. She is an impressive organised and tidy person in both professional and personal life. You can be sure that you will get your home back as clean as you left it, if not better ! On the animals part, you can't find a biggest animal lover. She has been surrounded by animals all her life ( 9 cats / 2 dogs / 1 rabbit / 2 guinea pigs and fishes ) and cannot consider an entire life without them. She currently has 2 cats ( Mojito & Twist ) and consider them like her kids. She has more love to give them that you can imagine. Maxime is a former restaurant manager and a great house & pet sitter too. In the luxury hospitality, he knows how to respect and keep safe and clean a place. Not afraid to get his hands dirty, he is a hard worker and can manage to get pretty much everything done. Big animal lover, he also has been surrounded by pets all is life ( 3 cats / 4 dogs ). He has a very strong relationship with Vally, he's 14 australian shepherd, the family dog. He is living with Mojito & Twist too. You now know almost everything about us ! We hope that we will be able to persuade you to choose us for your next vacation and leave us your home and love ones with closed eyes and absolutely no worries. Be sure that you will get everything back like you left a few hours ago. Can't wait to know about you and your adorable pets ! Hope you're going to like our profile and to see you soon ! We have been and living together for more than 6 years now. We definitely know how to keep a place tidy, clean and safe, especially with our four-legged kids, we do it on a daily basis. We leave not far from Paris with our 2 cats/kids. As huge animal lovers, we managed to be surrounded by them along the way. It's been a total success with a lot of amazing experiences with so many different pet & wild animals, either on earth or under water. After 1 year of beautiful discovers, people, landscapes and learning, we know settle for several months in Indonesia. During the time we are visiting countries, we need to feel the warm and the pleasure to take care of a house and it pets, like home. We have a strong house & pet sitting experience back in France. Over more than 6 years living together, we house & pet sat several times and on regular basis for some people. 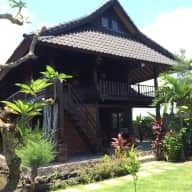 During our travels, we house & pet sat in Indonesia, Australia, Thailand, New Zealand and more recently back again in Indonesia for a few, including a 2 months house & pet sitting. Counting those in France plus overseas, we've been looking after 18 houses / 15 cats / 34 dogs / 5 sheep / 3 alpacas / 2 turtles / 1 ray and hens. 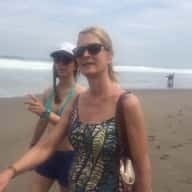 As we stayed for several months in Indonesia and especially Bali, we use to feed and cuddle a lot of street dogs as there are thousands there. It's such a great pleasure to mix it with our travels. Plus as full time travellers so we have plenty of time to spend time with your pets and keep your home living and safe. When we were traveling and not house & pet sitting, we used Airbnb 99% of the time and have a lot of very good reviews that attest how trustworthy, tidy, clean and friendly we are. We try to choose the Airbnb places when they have pets. We can provide those if you like and also plenty of references from the different places we house sat. 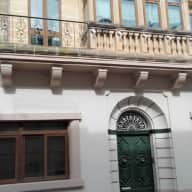 For the New Zealand part, we've been using an other house sitters web site so you can some of our reviews in our photos. We fell in love with Max and Lola, as did our three cats and our dog. They are gentle and caring and cannot do enough to make the pets as comfortable and loved as they can. We were lucky to spend time with these two young people and would gladly open our home to them again. When we got back the garden and the house was spotlessly clean, they had cooked us dinner and bought us a lovely present. Its rare to find such young caring people and we hope they come back again. Maxime and Lola came to take care of our 3 bouncy Welsh Springer Spaniels while we were away for a week. I liked them the minute we met. They were smiling, friendly and expressed a lot of confidence. The dogs seemed to consider them old friends and had an extraordinary bond with Maxime and Lola right away. 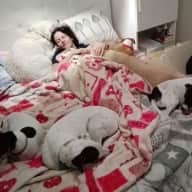 It was great to see, and I quickly understood that they would have no problem taking care of the 3 dogs, which can be quite a handful. While we were talking, the dogs hang around and wanted their attention and Maxime and Lola really have a very good hand with dogs and right away understood how to handle their different characters. They sent photos and videos from their walks which I much appreciated. They take lots of initiatives, are always smiling, positive and confident. They really are a sweet couple and I had no hesitations leaving the dogs and the house with them. I have to admit that the house was cleaner and tidier when I came back than when I left! I can really recommend Maxime and Lola for house- and pet sitting, they are totally reliable. I hope they will be available to come back at another occasion! Meanwhile, I recommend them with no hesitation whatsoever! You are lucky if you get them to come and stay! 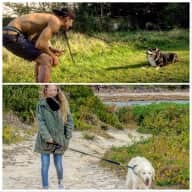 Maxime and Lola, a charming young French couple, did a fantastic job looking after our 8 dogs, who can be quite challenging on occasion. They looked after our home with great care and responsibility and left the whole house in immaculate condition when they left. You kept my house very tidy and clean and took very good care of all my animals. It was great to be overseas knowing that everything was under control back home. Thank you also for giving us news and photos very often we really liked it. I hope you will come back soon, also to say hello. Maxime and Lola came to Sydney and house sat our family home for two weeks. They are organised, tidy, flexible and above all reliable and trustworthy. They took great care of our home as if it were their own, and took fantastic care of our dog Tango, with whom they developed a special bond. We hope they will be back in Sydney to house sit again for us whenever we will be away ! Your house and pets will be in good hands under the care of this duo, they are the ultimate house sitters ! We had Maxime and Lola stay with us in our place for almost a month. We let out our bedroom to them, and put them in charge of looking after our home for us for the 28 nights we were away for. 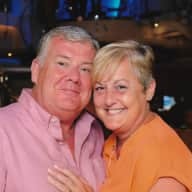 We run a 4 bedroom “AirBNB” house, in which we live too, and as we were going away for a while we wanted someone trustworthy and reliable to look after the house and the dogs and our guests while we were away. We had an ad on gumtree and after meeting several people, and not really feeling like we’d met the right person, along came Lola & Max we knew we found the right couple. They stole our hearts straight away, and our dogs stole theirs, and that was the most important thing to us, someone to look after our home and dogs with the genuine love and care that we do. 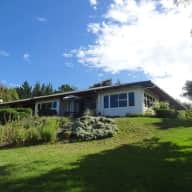 Our place was so well looked after and we felt so comfortable that we had two beautiful people that we instantly trusted, and that our dogs loved. 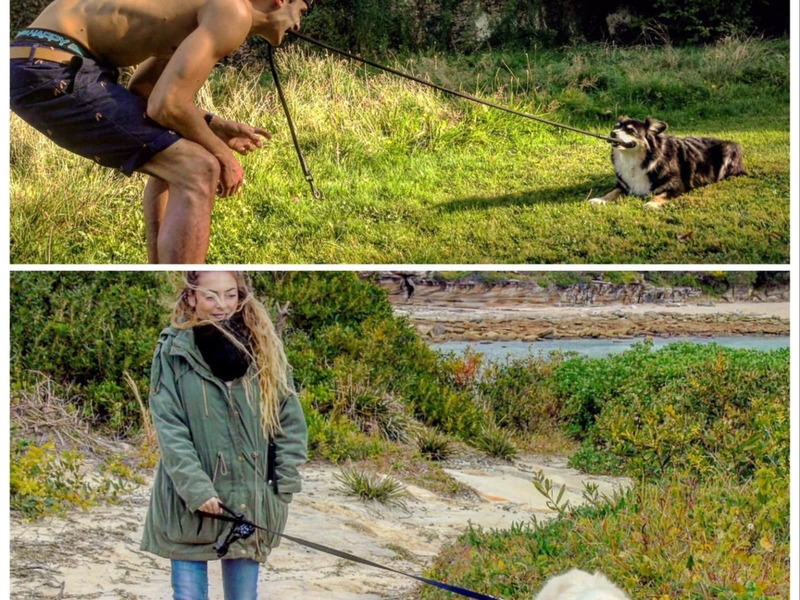 They sent us photos daily of our dogs out on adventures with them, which made our holiday complete. Max was so helpful, as well as dealing with any concerns our guests had, and used great initiate in solving problems in the house (we had a few power blackouts due to storms and a bathroom leak) and Max texted us when the issue was solved and fixed, just out of courtesy to let me know. 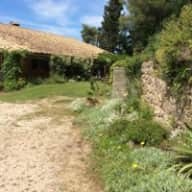 Max is very communicative and speaks perfect English, he is very intelligent and super friendly and he made us feel so safe in knowing our house, dogs and guests were all safe happy and well looked after. Lola is very beautiful and has wonderful calm energy, the dogs adored her, and from our guests we had nothing but wonderful comments. I would recommend Lola and Max to any person looking for someone to house sit, I know that they go above and beyond to make sure you feel safe and happy leaving your home in their hands. I just wish they were back in Australia so that we could have them house sit for our trip to Bali in April!